We are smitten by the features of Oneplus One and if you have not been living under a rock it must be on your wishlist too. In the past we have offered Google Nexus 10 and iPad 2 as giveaways but this year we would like to sponsor a OnePlus One for the lucky winner apart from other prizes from us and our partners. Riding high on popularity OnePlus One is hard to get and it would be a challenge even to us to arrange a invite for the winner. Did you checkout the cool features of OnePlus One yet? And we hope you’ll have the best Thanksgiving with JoomlArt this year. Sign up at our OnePlus One Giveaway landing page with your email and get your unique URL. Your unique URL hits and people signing up for contest from your URL will add to your entry. Top 50 people with most hits and referral signup will be taken up for lucky draw. 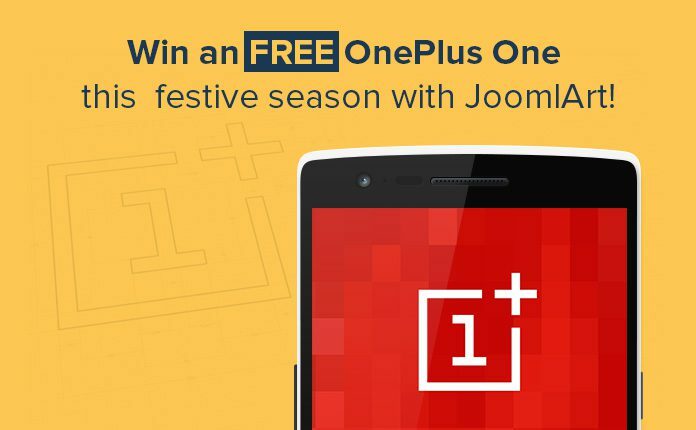 The winner will be sponsored by JoomlArt to bring home OnePlus One. The contest will be open for two weeks (02) starting on 25th November 2014 until 8th December 2014. The OnePlus One giveaway is open for all to participate, the winner will be announced within 3 days after 8th December 2014. Winner will be notified via email and will have 48 hours to respond – at that time, if no response is received, we will choose another winner at random. Happy Thanksgiving and best of luck for Black Friday and Cyber Monday shopping. This promotion is not endorsed by OnePlus. Due to limited supply it is hard to get OnePlus One phone and we are hunting for invites already for the winner. You may want to check shipping countries for OnePlus One device. We would pay all the expenses including shipping for the winner. Winner would be required to send in his pic for us to share around. OnePlus One device graphics and logo are copyright of OnePlus. This shopping season, we want to make things easy to get, and hard to refuse, with the crazy offers for all memberships. JoomlArt offers 30% OFF ALL effects from today November 25th until Cyber Monday December 1st Midnight. 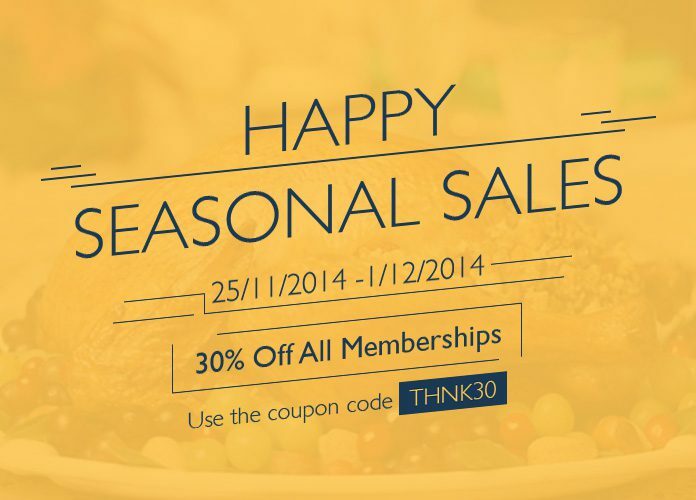 Proceed to our sign up page and use the coupon code THNK30during checkout. The discount is valid for all the memberships.